Colorado Law Regarding Driving Under the Influence (DUI), and Driving While Ability Impaired (DWAI), Relating to Driving After the Consumption of Alcohol or Drugs or a Combination of Alcohol and Drugs. The Driving Under the Influence (DUI) and Driving While Ability Impaired (DWAI) law in Colorado is broad in scope and application and includes both criminal penalties and often a suspension of a driver’s license with specific conditions and requirements to be completed for reinstatement of driving privileges.Of the two offense Driving Under the Influence is the more severe and is generally applicable when an individual is more substantially incapable off driving a motor vehicle than would be the case if the person was Driving While Ability Impaired. 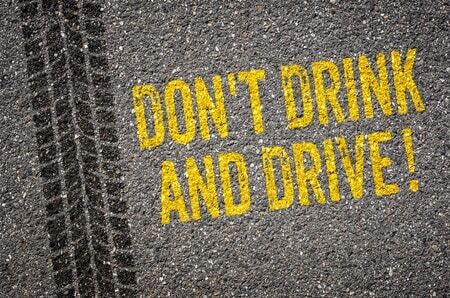 Driving Under the Influence thus carries substantially greater penalties. Driving Under the Influence (DUI) and Driving While Ability Impaired (DWAI) often are the result of a person driving after the consumption of alcohol. However, the laws also apply to the consumption of marijuana and essentially all other drugs whether smoked, inhaled, taken intravenously, or ingested by mouth. It is not generally an excuse in Colorado to state that marijuana, or any other drug, is taken under the auspices of a physician, if that drug affects the person’s ability to drive a vehicle safely. Laws regarding Driving Under the Influence (DUI) and Driving While Ability Impaired (DWAI) have tended to become substantially more struct over the last years. For instance the per se blood alcohol level for a determination of Driving Under The Influence (DUI) was reduced from the previous 0.10 standard for intoxication to the lower 0.08 standard for intoxication. The legislature has also adopted presumptive levels for marijuana intoxication. In addition, the legislature has enacted a felony DUI statute providing that a person may be charged and convicted of a felony for driving under the influence under certain repeated circumstances. 42-4-1301. Driving under the influence – driving while impaired – driving with excessive alcoholic content – definitions – penalties. (1) (a) A person who drives a motor vehicle or vehicle under the influence of alcohol or one or more drugs, or a combination of both alcohol and one or more drugs, commits driving under the influence. Driving under the influence is a misdemeanor, but it is a class 4 felony if the violation occurred after three or more prior convictions, arising out of separate and distinct criminal episodes, for DUI, DUI per se, or DWAI; vehicular homicide, as described in section 18-3-106 (1)(b), C.R.S. ; vehicular assault, as described in section 18-3-205 (1)(b), C.R.S. ; or any combination thereof. (b) A person who drives a motor vehicle or vehicle while impaired by alcohol or by one or more drugs, or by a combination of alcohol and one or more drugs, commits driving while ability impaired. Driving while ability impaired is a misdemeanor, but it is a class 4 felony if the violation occurred after three or more prior convictions, arising out of separate and distinct criminal episodes, for DUI, DUI per se, or DWAI; vehicular homicide, as described in section 18-3-106 (1)(b), C.R.S. ; vehicular assault, as described in section 18-3-205 (1)(b), C.R.S. ; or any combination thereof. (d) As used in this section, one or more drugs means any drug, as defined in section 27-80-203 (13), C.R.S., any controlled substance, as defined in section 18-18-102 (5), C.R.S., and any inhaled glue, aerosol, or other toxic vapor or vapors, as defined in section 18-18-412, C.R.S. (f) “Driving under the influence” means driving a motor vehicle or vehicle when a person has consumed alcohol or one or more drugs, or a combination of alcohol and one or more drugs, that affects the person to a degree that the person is substantially incapable, either mentally or physically, or both mentally and physically, to exercise clear judgment, sufficient physical control, or due care in the safe operation of a vehicle. (g) “Driving while ability impaired” means driving a motor vehicle or vehicle when a person has consumed alcohol or one or more drugs, or a combination of both alcohol and one or more drugs, that affects the person to the slightest degree so that the person is less able than the person ordinarily would have been, either mentally or physically, or both mentally and physically, to exercise clear judgment, sufficient physical control, or due care in the safe operation of a vehicle. (h) Pursuant to section 16-2-106, C.R.S., in charging the offense of DUI, it shall be sufficient to describe the offense charged as “drove a vehicle under the influence of alcohol or drugs or both”. (i) Pursuant to section 16-2-106, C.R.S., in charging the offense of DWAI, it shall be sufficient to describe the offense charged as “drove a vehicle while impaired by alcohol or drugs or both”. (j) For the purposes of this section, a person is deemed to have a prior conviction for DUI, DUI per se, or DWAI; vehicular homicide, as described in section 18-3-106 (1)(b), C.R.S. ; or vehicular assault, as described in section 18-3-205 (1)(b), C.R.S., if the person has been convicted under the laws of this state or under the laws of any other state, the United States, or any territory subject to the jurisdiction of the United States, of an act that, if committed within this state, would constitute any of these offenses. The prosecution shall set forth such prior convictions in the indictment or information. (2) (a) A person who drives a motor vehicle or vehicle when the person’s BAC is 0.08 or more at the time of driving or within two hours after driving commits DUI per se. During a trial, if the state’s evidence raises the issue, or if a defendant presents some credible evidence, that the defendant consumed alcohol between the time that the defendant stopped driving and the time that testing occurred, such issue shall be an affirmative defense, and the prosecution must establish beyond a reasonable doubt that the minimum 0.08 blood or breath alcohol content required in this paragraph (a) was reached as a result of alcohol consumed by the defendant before the defendant stopped driving. DUI per se is a misdemeanor, but it is a class 4 felony if the violation occurred after three or more prior convictions, arising out of separate and distinct criminal episodes, for DUI, DUI per se, or DWAI; vehicular homicide, as described in section 18-3-106 (1)(b), C.R.S. ; vehicular assault, as described in section 18-3-205 (1)(b), C.R.S. ; or any combination thereof. (b) In any prosecution for the offense of DUI per se, the defendant shall be entitled to offer direct and circumstantial evidence to show that there is a disparity between what any tests show and other facts so that the trier of fact could infer that the tests were in some way defective or inaccurate. Such evidence may include testimony of nonexpert witnesses relating to the absence of any or all of the common symptoms or signs of intoxication for the purpose of impeachment of the accuracy of the analysis of the person’s blood or breath. (c) Pursuant to section 16-2-106, C.R.S., in charging the offense of DUI per se, it shall be sufficient to describe the offense charged as “drove a vehicle with excessive alcohol content”. (d) (I) It is a class A traffic infraction for any person under twenty-one years of age to drive a motor vehicle or vehicle when the person’s BAC, as shown by analysis of the person’s breath, is at least 0.02 but not more than 0.05 at the time of driving or within two hours after driving. The court, upon sentencing a defendant pursuant to this subparagraph (I), may order, in addition to any penalty imposed under a class A traffic infraction, that the defendant perform up to twenty-four hours of useful public service, subject to the conditions and restrictions of section 18-1.3-507, C.R.S., and may further order that the defendant submit to and complete an alcohol evaluation or assessment, an alcohol education program, or an alcohol treatment program at such defendant’s own expense. (3) The offenses described in subsections (1) and (2) of this section are strict liability offenses. (4) No court shall accept a plea of guilty to a non-alcohol-related or non-drug-related traffic offense or guilty to the offense of UDD from a person charged with DUI or DUI per se; except that the court may accept a plea of guilty to a non-alcohol-related or non-drug-related traffic offense or to UDD upon a good faith representation by the prosecuting attorney that the attorney could not establish a prima facie case if the defendant were brought to trial on the original alcohol-related or drug-related offense. (5) Notwithstanding the provisions of section 18-1-408, C.R.S., during a trial of any person accused of both DUI and DUI per se, the court shall not require the prosecution to elect between the two violations. The court or a jury may consider and convict the person of either DUI or DWAI, or DUI per se, or both DUI and DUI per se, or both DWAI and DUI per se. If the person is convicted of more than one violation, the sentences imposed shall run concurrently. (I) If at such time the defendant’s BAC was 0.05 or less, it shall be presumed that the defendant was not under the influence of alcohol and that the defendant’s ability to operate a motor vehicle or vehicle was not impaired by the consumption of alcohol. (II) If at such time the defendant’s BAC was in excess of 0.05 but less than 0.08, such fact gives rise to the permissible inference that the defendant’s ability to operate a motor vehicle or vehicle was impaired by the consumption of alcohol, and such fact may also be considered with other competent evidence in determining whether or not the defendant was under the influence of alcohol. (III) If at such time the defendant’s BAC was 0.08 or more, such fact gives rise to the permissible inference that the defendant was under the influence of alcohol. (b) The limitations of this subsection (6) shall not be construed as limiting the introduction, reception, or consideration of any other competent evidence bearing upon the question of whether or not the defendant was under the influence of alcohol or whether or not the defendant’s ability to operate a motor vehicle or vehicle was impaired by the consumption of alcohol. (c) (I) In all actions, suits, and judicial proceedings in any court of this state concerning alcohol-related or drug-related traffic offenses, the court shall take judicial notice of methods of testing a person’s alcohol or drug level and of the design and operation of devices, as certified by the department of public health and environment, for testing a person’s blood, breath, saliva, or urine to determine such person’s alcohol or drug level. The department of public health and environment may, by rule, determine that, because of the reliability of the results from certain devices, the collection or preservation of a second sample of a person’s blood, saliva, or urine or the collection and preservation of a delayed breath alcohol specimen is not required. (II) Nothing in this paragraph (c) prevents the necessity of establishing during a trial that the testing devices used were working properly and were properly operated. Nothing in this paragraph (c) precludes a defendant from offering evidence concerning the accuracy of testing devices. (D) Any party who obtains an order in a pending civil or criminal case if the court finds the party has shown good cause to have the information. In determining whether there is good cause, the court shall consider whether the materials sought exist; whether the materials sought are evidentiary and relevant; whether the materials are not otherwise procurable reasonably in advance of the proceeding by the exercise of due diligence; whether the party cannot properly prepare for the proceeding without such production and inspection in advance of the proceeding, and the failure to obtain such inspection may tend to unreasonably delay the proceeding; and whether the request for the information is made in good faith and is not for the purposes of general discovery. (IV) The department of public health and environment may release nonpersonal identifying information from the database in accordance with sections 24-72-101 to 24-72-402, C.R.S. (d) If a person refuses to take or to complete, or to cooperate with the completing of, any test or tests as provided in section 42-4-1301.1 and such person subsequently stands trial for DUI or DWAI, the refusal to take or to complete, or to cooperate with the completing of, any test or tests shall be admissible into evidence at the trial, and a person may not claim the privilege against self-incrimination with regard to admission of refusal to take or to complete, or to cooperate with the completing of, any test or tests. (e) Involuntary blood test – admissibility.Evidence acquired through an involuntary blood test pursuant to section 42-4-1301.1 (3) shall be admissible in any prosecution for DUI, DUI per se, DWAI, or UDD, and in any prosecution for criminally negligent homicide pursuant to section 18-3-105, C.R.S., vehicular homicide pursuant to section 18-3-106 (1)(b), C.R.S., assault in the third degree pursuant to section 18-3-204, C.R.S., or vehicular assault pursuant to section 18-3-205 (1)(b), C.R.S. (f) Chemical test – admissibility.Strict compliance with the rules and regulations prescribed by the department of public health and environment shall not be a prerequisite to the admissibility of test results at trial unless the court finds that the extent of noncompliance with a board of health rule has so impaired the validity and reliability of the testing method and the test results as to render the evidence inadmissible. In all other circumstances, failure to strictly comply with such rules and regulations shall only be considered in the weight to be given to the test results and not to the admissibility of such test results. (g) It shall not be a prerequisite to the admissibility of test results at trial that the prosecution present testimony concerning the composition of any kit used to obtain blood, urine, saliva, or breath specimens. A sufficient evidentiary foundation concerning the compliance of such kits with the rules and regulations of the department of public health and environment shall be established by the introduction of a copy of the manufacturer’s or supplier’s certificate of compliance with such rules and regulations if such certificate specifies the contents, sterility, chemical makeup, and amounts of chemicals contained in such kit. (h) In any trial for a violation of this section, the testimony of a law enforcement officer that he or she witnessed the taking of a blood specimen by a person who the law enforcement officer reasonably believed was authorized to withdraw blood specimens shall be sufficient evidence that such person was so authorized, and testimony from the person who obtained the blood specimens concerning such person’s authorization to obtain blood specimens shall not be a prerequisite to the admissibility of test results concerning the blood specimens obtained. (i) (I) Following the lawful contact with a person who has been driving a motor vehicle or vehicle and when a law enforcement officer reasonably suspects that a person was driving a motor vehicle or vehicle while under the influence of or while impaired by alcohol, the law enforcement officer may conduct a preliminary screening test using a device approved by the executive director of the department of public health and environment after first advising the driver that the driver may either refuse or agree to provide a sample of the driver’s breath for such preliminary test; except that, if the driver is under twenty-one years of age, the law enforcement officer may, after providing such advisement to the person, conduct such preliminary screening test if the officer reasonably suspects that the person has consumed any alcohol. (II) The results of this preliminary screening test may be used by a law enforcement officer in determining whether probable cause exists to believe such person was driving a motor vehicle or vehicle in violation of this section and whether to administer a test pursuant to section 42-4-1301.1 (2). (III) Neither the results of such preliminary screening test nor the fact that the person refused such test shall be used in any court action except in a hearing outside of the presence of a jury, when such hearing is held to determine if a law enforcement officer had probable cause to believe that the driver committed a violation of this section. The results of such preliminary screening test shall be made available to the driver or the driver’s attorney on request. (j) In any trial for a violation of this section, if, at the time of the alleged offense, the person possessed a valid medical marijuana registry identification card, as defined in section 25-1.5-106 (2)(e), C.R.S., issued to himself or herself, the prosecution shall not use such fact as part of the prosecution’s case in chief. (k) In any traffic stop, the driver’s possession of a valid medical marijuana registry identification card, as defined in section 25-1.5-106 (2)(e), C.R.S., issued to himself or herself shall not, in the absence of other contributing factors, constitute probable cause for a peace officer to require the driver to submit to an analysis of his or her blood. (8) A second or subsequent violation of this section committed by a person under eighteen years of age may be filed in juvenile court. Colorado considers the issuance of a driver’s license to be a privilege granted to individuals and not a protected property interest. Colorado has a long-established expressed consent law.The express consent law provides that upon a person being issued a driver’s license and driving within Colorado the person is deemed to have consented to take an alcohol or drug test upon an officer asking for the person to take such a test. In most instances a person can refuse to take such a test, however, if the person refuses the penalties related to license suspension may be greater. Currently, if a person has a blood alcohol content of 0.08, and the test is administered within certain parameters, the person is subject, in addition to criminal penalties imposed by a court, to a suspension of driving privileges with specific reinstatement requirements. 42-4-1301.1. Expressed consent for the taking of blood, breath, urine, or saliva sample – testing – fund – rules – repeal. (2) (a) (I) A person who drives a motor vehicle upon the streets and highways and elsewhere throughout this state shall be required to take and complete, and to cooperate in the taking and completing of, any test or tests of the person’s breath or blood for the purpose of determining the alcoholic content of the person’s blood or breath when so requested and directed by a law enforcement officer having probable cause to believe that the person was driving a motor vehicle in violation of the prohibitions against DUI, DUI per se, DWAI, or UDD. Except as otherwise provided in this section, if a person who is twenty-one years of age or older requests that the test be a blood test, then the test shall be of his or her blood; but, if the person requests that a specimen of his or her blood not be drawn, then a specimen of the person’s breath shall be obtained and tested. A person who is under twenty-one years of age shall be entitled to request a blood test unless the alleged violation is UDD, in which case a specimen of the person’s breath shall be obtained and tested, except as provided in subparagraph (II) of this paragraph (a). (b) (I) Any person who drives any motor vehicle upon the streets and highways and elsewhere throughout this state shall be required to submit to and to complete, and to cooperate in the completing of, a test or tests of such person’s blood, saliva, and urine for the purpose of determining the drug content within the person’s system when so requested and directed by a law enforcement officer having probable cause to believe that the person was driving a motor vehicle in violation of the prohibitions against DUI or DWAI and when it is reasonable to require such testing of blood, saliva, and urine to determine whether such person was under the influence of, or impaired by, one or more drugs, or one or more controlled substances, or a combination of both alcohol and one or more drugs, or a combination of both alcohol and one or more controlled substances. (3) Any person who is required to take and to complete, and to cooperate in the completing of, any test or tests shall cooperate with the person authorized to obtain specimens of such person’s blood, breath, saliva, or urine, including the signing of any release or consent forms required by any person, hospital, clinic, or association authorized to obtain such specimens. If such person does not cooperate with the person, hospital, clinic, or association authorized to obtain such specimens, including the signing of any release or consent forms, such noncooperation shall be considered a refusal to submit to testing. No law enforcement officer shall physically restrain any person for the purpose of obtaining a specimen of such person’s blood, breath, saliva, or urine for testing except when the officer has probable cause to believe that the person has committed criminally negligent homicide pursuant to section 18-3-105, C.R.S., vehicular homicide pursuant to section 18-3-106 (1)(b), C.R.S., assault in the third degree pursuant to section 18-3-204 , C.R.S., or vehicular assault pursuant to section 18-3-205 (1)(b), C.R.S., and the person is refusing to take or to complete, or to cooperate in the completing of, any test or tests, then, in such event, the law enforcement officer may require a blood test. (6) (a) No person except a physician, a registered nurse, a paramedic, as certified in part 2 of article 3.5 of title 25, C.R.S., an emergency medical service provider, as defined in part 1 of article 3.5 of title 25, C.R.S., or a person whose normal duties include withdrawing blood samples under the supervision of a physician or registered nurse shall withdraw blood to determine the alcoholic or drug content of the blood for purposes of this section. (7) A preliminary screening test conducted by a law enforcement officer pursuant to section 42-4-1301 (6)(i) shall not substitute for or qualify as the test or tests required by subsection (2) of this section. (8) Any person who is dead or unconscious shall be tested to determine the alcohol or drug content of the person’s blood or any drug content within such person’s system as provided in this section. If a test cannot be administered to a person who is unconscious, hospitalized, or undergoing medical treatment because the test would endanger the person’s life or health, the law enforcement agency shall be allowed to test any blood, urine, or saliva that was obtained and not utilized by a health care provider and shall have access to that portion of the analysis and results of any tests administered by such provider that shows the alcohol or drug content of the person’s blood, urine, or saliva or any drug content within the person’s system. Such test results shall not be considered privileged communications, and the provisions of section 13-90-107, C.R.S., relating to the physician-patient privilege shall not apply. Any person who is dead, in addition to the tests prescribed, shall also have the person’s blood checked for carbon monoxide content and for the presence of drugs, as prescribed by the department of public health and environment. Such information obtained shall be made a part of the accident report. (9) (a) There is created in the state treasury the evidential breath-testing cash fund, referred to in this section as the “fund”, for the collection of moneys to purchase breath-testing devices for law enforcement agencies. The fund includes any moneys appropriated to the fund by the general assembly and any moneys credited to the fund pursuant to paragraph (c) of this subsection (9). The moneys in the fund are subject to annual appropriation by the general assembly to the department of public health and environment created in section 25-1-102, C.R.S., for the purposes described in this subsection (9). (b) All interest derived from the deposit and investment of moneys in the fund must remain in the fund. Any unexpended or unencumbered moneys remaining in the fund at the end of a fiscal year must remain in the fund and not be transferred or credited to the general fund or another fund; except that any such unexpended and unencumbered moneys in excess of two million dollars must be credited to the general fund. (c) The department of public health and environment is authorized to accept any gifts, grants, or donations from any private or public source on behalf of the state for the purposes described in this section. The department of public health and environment shall transmit all such gifts, grants, and donations to the state treasurer, who shall credit the same to the fund. (d) The state board of health created in section 25-1-103, C.R.S., may promulgate rules for the administration of the fund for the purposes described in this subsection (9). (e) This subsection (9) is repealed, effective September 1, 2024. Before repeal, the department of regulatory agencies, pursuant to 24-34-104, shall review the use of the fund by the department of public health and environment for the purposes described in this subsection (9). 42-4-1301.3. Alcohol and drug driving safety program – definition. (II) If neither the defendant nor the prosecuting attorney objects. (b) If the court proceeds to immediate sentencing, without considering an alcohol and drug evaluation, the alcohol and drug evaluation shall be conducted after sentencing, and the court shall order the defendant to complete the education and treatment program recommended in the alcohol and drug evaluation. If the defendant disagrees with the education and treatment program recommended in the alcohol and drug evaluation, the defendant may request the court to hold a hearing to determine which education and treatment program should be completed by the defendant. (3) (a) The judicial department shall administer in each judicial district an alcohol and drug driving safety program that provides presentence and postsentence alcohol and drug evaluations on all persons convicted of a violation of section 42-4-1301. The alcohol and drug driving safety program shall further provide supervision and monitoring of all such persons whose sentences or terms of probation require completion of a program of alcohol and drug driving safety education or treatment. (b) The presentence and postsentence alcohol and drug evaluations shall be conducted by such persons determined by the judicial department to be qualified to provide evaluation and supervision services as described in this section. (c) (I) An alcohol and drug evaluation shall be conducted on all persons convicted of a violation of section 42-4-1301, and a copy of the report of the evaluation shall be provided to such person. The report shall be made available to and shall be considered by the court prior to sentencing unless the court proceeds to immediate sentencing pursuant to the provisions of subsection (1) of this section. (II) The report shall contain the defendant’s prior traffic record, characteristics and history of alcohol or drug problems, and amenability to rehabilitation. The report shall include a recommendation as to alcohol and drug driving safety education or treatment for the defendant. (III) The alcohol evaluation shall be conducted and the report prepared by a person who is trained and knowledgeable in the diagnosis of chemical dependency. Such person’s duties may also include appearing at sentencing and probation hearings as required, referring defendants to education and treatment agencies in accordance with orders of the court, monitoring defendants in education and treatment programs, notifying the probation department and the court of any defendant failing to meet the conditions of probation or referral to education or treatment, appearing at revocation hearings as required, and providing assistance in data reporting and program evaluation. (IV) For the purpose of this section, “alcohol and drug driving safety education or treatment” means either level I or level II education or treatment programs approved by the office of behavioral health in the department of human services. Level I programs are short-term, didactic education programs. Level II programs are therapeutically oriented education, long-term outpatient, and comprehensive residential programs. The court shall instruct a defendant sentenced to level I or level II programs to meet all financial obligations of the programs. If the financial obligations are not met, the program shall notify the sentencing court for the purpose of collection or review and further action on the defendant’s sentence. Nothing in this section prohibits treatment agencies from applying to the state for money to recover the costs of level II treatment for defendants determined indigent by the court. (4) (a) There is created an alcohol and drug driving safety program fund in the office of the state treasurer, referred to in this subsection (4) as the “fund”. The fund consists of money deposited in it as directed by this subsection (4)(a). The assessment in effect on July 1, 1998, remains in effect unless the judicial department and the office of behavioral health in the department of human services have provided the general assembly with a statement of the cost of the program, including costs of administration for the past and current fiscal year to include a proposed change in the assessment. The general assembly shall then consider the proposed new assessment and approve the amount to be assessed against each person during the following fiscal year in order to ensure that the alcohol and drug driving safety program established in this section is financially self-supporting. Any adjustment in the amount to be assessed must be noted in the appropriation to the judicial department and the office of behavioral health in the department of human services as a footnote or line item related to this program in the general appropriation bill. The state auditor shall periodically audit the costs of the programs to determine that they are reasonable and that the rate charged is accurate based on these costs. Any other fines, fees, or costs levied against a person are not part of the program fund. The court shall transmit to the state treasurer the amount assessed for the alcohol and drug evaluation to be credited to the fund. Fees charged pursuant to sections 27-81-106 (1) and 27-82-103 (1) to approved alcohol and drug treatment facilities that provide level I and level II programs as provided in subsection (3)(c) of this section must be transmitted to the state treasurer, who shall credit the fees to the fund. Upon appropriation by the general assembly, the money must be expended by the judicial department and the office of behavioral health in the department of human services for the administration of the alcohol and drug driving safety program. In administering the alcohol and drug driving safety program, the judicial department is authorized to contract with any agency for any services the judicial department deems necessary. Money deposited in the fund remains in the fund to be used for the purposes set forth in this section and must not revert or transfer to the general fund except by further act of the general assembly. (b) The judicial department shall ensure that qualified personnel are placed in the judicial districts. The judicial department and the office of behavioral health in the department of human services shall jointly develop and maintain criteria for evaluation techniques, treatment referral, data reporting, and program evaluation. (c) The alcohol and drug driving safety program shall cooperate in providing services to a defendant who resides in a judicial district other than the one in which the arrest was made. Alcohol and drug driving safety programs may cooperate in providing services to any defendant who resides at a location closer to another judicial district’s program. The requirements of this section shall not apply to persons who are not residents of Colorado at the time of sentencing. (d) Notwithstanding any provision of paragraph (a) of this subsection (4) to the contrary, on March 5, 2003, the state treasurer shall deduct one million dollars from the alcohol and drug driving safety program fund and transfer such sum to the general fund. (5) The provisions of this section are also applicable to any defendant who receives a diversion in accordance with section 18-1.3-101, C.R.S., or who receives a deferred sentence in accordance with section 18-1.3-102, C.R.S., and the completion of any stipulated alcohol evaluation, level I or level II education program, or level I or level II treatment program to be completed by the defendant shall be ordered by the court in accordance with the conditions of such deferred prosecution or deferred sentence as stipulated to by the prosecution and the defendant. (6) An approved alcohol or drug treatment facility that provides level I or level II programs as provided in paragraph (c) of subsection (3) of this section shall not require a person to repeat any portion of an alcohol and drug driving safety education or treatment program that he or she has successfully completed while he or she was imprisoned for the current offense. In addition to other penalties a Colorado court will normally impose a requirement upon an individual to complete useful public service also known as community service.The ranges are set forth in the statute and are specifically set by the Judge. Colorado law sets forth policies and procedures for the completion of the useful public service. 42-4-1301.4. Useful public service – definitions – local programs – assessment of costs. (1) This section applies to any person convicted of a violation of section 42-4-1301 and who is ordered to complete useful public service. (2) (a) For the purposes of this section and section 42-4-1301, “useful public service” means any work that is beneficial to the public and involves a minimum of direct supervision or other public cost. “Useful public service” does not include any work that would endanger the health or safety of any person convicted of a violation of any of the offenses specified in section 42-4-1301. (b) The sentencing court, the probation department, the county sheriff, and the board of county commissioners shall cooperate in identifying suitable work assignments. An offender sentenced to such work assignment shall complete the same within the time established by the court. (3) (a) There may be established in the probation department of each judicial district in the state a useful public service program under the direction of the chief probation officer. It is the purpose of the useful public service program: To identify and seek the cooperation of governmental entities and political subdivisions thereof, as well as corporations organized not for profit or charitable trusts, as specified in subsection (3)(c) of this section, for the purpose of providing useful public service jobs; to interview and assign persons who have been ordered by the court to perform useful public service to suitable useful public service jobs; and to monitor compliance or noncompliance of such persons in performing useful public service assignments within the time established by the court. (b) Nothing in this subsection (3) limits the authority of an entity that is the recipient of community or useful public service to accept or reject such service, in its sole discretion. (III) A veterans’ service organization that is exempt from taxation under section 501 (c)(19) of the federal “Internal Revenue Code of 1986”, as amended. (4) (a) Any general public liability insurance policy obtained pursuant to this section shall be in a sum of not less than the current limit on government liability under the “Colorado Governmental Immunity Act”, article 10 of title 24, C.R.S. (b) For the purposes of the “Colorado Governmental Immunity Act”, article 10 of title 24, C.R.S., “public employee” does not include any person who is sentenced pursuant to section 42-4-1301 to participate in any type of useful public service. (c) No governmental entity shall be liable under the “Workers’ Compensation Act of Colorado”, articles 40 to 47 of title 8, C.R.S., or under the “Colorado Employment Security Act”, articles 70 to 82 of title 8, C.R.S., for any benefits on account of any person who is sentenced pursuant to section 42-4-1301 to participate in any type of useful public service, but nothing in this paragraph (c) shall prohibit a governmental entity from electing to accept the provisions of the “Workers’ Compensation Act of Colorado” by purchasing and keeping in force a policy of workers’ compensation insurance covering such person. (5) In accordance with section 42-4-1307 (14), in addition to any other penalties prescribed in this part 13, the court shall assess an amount, not to exceed one hundred twenty dollars, upon any person required to perform useful public service. Such amount shall be used by the operating agency responsible for overseeing such person’s useful public service program to pay the cost of administration of the program, a general public liability policy covering such person, and, if such person will be covered by workers’ compensation insurance pursuant to paragraph (c) of subsection (4) of this section or an insurance policy providing such or similar coverage, the cost of purchasing and keeping in force such insurance coverage. Such amount shall be adjusted from time to time by the general assembly in order to ensure that the useful public service program established in this section shall be financially self-supporting. The proceeds from such amounts shall be used by the operating agency only for defraying the cost of personal services and other operating expenses related to the administration of the program and the cost of purchasing and keeping in force policies of general public liability insurance, workers’ compensation insurance, or insurance providing such or similar coverage and shall not be used by the operating agency for any other purpose. (6) The provisions of this section relating to the performance of useful public service are also applicable to any defendant who receives a diversion in accordance with section 18-1.3-101, C.R.S., or who receives a deferred sentence in accordance with section 18-1.3-102, C.R.S., and the completion of any stipulated amount of useful public service hours to be completed by the defendant shall be ordered by the court in accordance with the conditions of such deferred prosecution or deferred sentence as stipulated to by the prosecution and the defendant. A law enforcement officer may stop any person who the officer reasonably suspects is committing or has committed a violation of section 42-4-1301 (1) or (2) and may require the person to give such person’s name, address, and an explanation of his or her actions. The stopping shall not constitute an arrest. 42-4-1303. Records – prima facie proof. Official records of the department of public health and environment relating to certification of breath test instruments, certification of operators and operator instructors of breath test instruments, certification of standard solutions, and certification of laboratories shall be official records of the state, and copies thereof, attested by the executive director of the department of public health and environment or the director’s deputy and accompanied by a certificate bearing the official seal for said department that the executive director or the director’s deputy has custody of said records, shall be admissible in all courts of record and shall constitute prima facie proof of the information contained therein. The department seal required under this section may also consist of a rubber stamp producing a facsimile of the seal stamped upon the document. 42-4-1304. Samples of blood or other bodily substance – duties of department of public health and environment. (1) The department of public health and environment shall establish a system for obtaining samples of blood or other bodily substance from the bodies of all pilots in command, vessel operators in command, or drivers and pedestrians fifteen years of age or older who die within four hours after involvement in a crash involving a motor vehicle, a vessel, or an aircraft. For purposes of this section, “vessel” has the meaning set forth in section 33-13-102, C.R.S. No person having custody of the body of the deceased shall perform any internal embalming procedure until a blood and urine specimen to be tested for alcohol, drug, and carbon monoxide concentrations has been taken by an appropriately trained person certified by the department of public health and environment. Whenever the driver of the vehicle cannot be immediately determined, the samples shall be obtained from all deceased occupants of the vehicle. (2) All samples so collected shall be placed in containers of a type designed to preserve the integrity of a sample from the time of collection until it is subjected to analysis. (3) All samples shall be tested and analyzed in the laboratories of the department of public health and environment, or in any other laboratory approved for this purpose by the department of public health and environment, to determine the amount of alcohol, drugs, and carbon monoxide contained in such samples or the amount of any other substance contained therein as deemed advisable by the department of public health and environment. (b) The designation of responsible state and local officials who shall have authority and responsibility to collect samples for testing. (5) All records of the results of such tests shall be compiled by the department of public health and environment and shall not be public information, but shall be disclosed on request to any interested party in any civil or criminal action arising out of the collision. (6) All state and local public officials, including investigating law enforcement officers, have authority to and shall follow the procedures established by the department of public health and environment pursuant to this section, including the release of all information to the department of public health and environment concerning such samples and the testing thereof. The Colorado state patrol and the county coroners and their deputies shall assist the department of public health and environment in the administration and collection of such samples for the purposes of this section. (7) The office of the highway safety coordinator, the department, the Colorado state patrol, and the division of criminal justice within the department of public safety have access to the results of the tests of samples taken as a result of a traffic crash for statistical analysis. The division of parks and wildlife has access to the results of the tests of samples taken as a result of a boating accident for statistical analysis. (8) Failure to perform the required duties as prescribed by this section and by the administrative regulations and procedures resulting therefrom shall be deemed punishable under section 18-8-405, C.R.S. In addition to laws prohibiting Driving Under The Influence and Driving While Ability Impaired Colorado has stringent laws prohibiting a vehicle driver form having open containers of alcohol or marijuana in the vehicle.Often a person can be charged both with Driving Under the Influence (DUI) or Driving While Ability Impaired (DWAI) and also, in addition, having an open container of alcohol or marijuana in the vehicle. 42-4-1305. Open alcoholic beverage container – motor vehicle – prohibited. (a) “Alcoholic beverage” means a beverage as defined in 23 CFR 1270.3 (a). (b) “Motor vehicle” means a vehicle driven or drawn by mechanical power and manufactured primarily for use on public highways but does not include a vehicle operated exclusively on a rail or rails. (II) The contents of which are partially removed. (d) “Passenger area” means the area designed to seat the driver and passengers while a motor vehicle is in operation and any area that is readily accessible to the driver or a passenger while in his or her seating position, including but not limited to the glove compartment. (II) Have in his or her possession an open alcoholic beverage container. (IV) The possession of an open alcoholic beverage container in an area not normally occupied by the driver or a passenger in a motor vehicle that is not equipped with a trunk. (c) A person who violates the provisions of this subsection (2) commits a class A traffic infraction and shall be punished by a fine of fifty dollars and a surcharge of sixteen dollars as provided in section 42-4-1701 (4)(a)(I)(N). (3) Nothing in this section shall be construed to preempt or limit the authority of any statutory or home rule town, city, or city and county to adopt ordinances that are no less restrictive than the provisions of this section. 42-4-1305.5. Open marijuana container – motor vehicle – prohibited. (a) “Marijuana” shall have the same meaning as in section 16 (2)(f) of article XVIII of the state constitution. (III) There is evidence that marijuana has been consumed within the motor vehicle. (d) “Passenger area” means the area designed to seat the driver and passengers, including seating behind the driver, while a motor vehicle is in operation and any area that is readily accessible to the driver or a passenger while in his or her seating position, including but not limited to the glove compartment. (II) Have in his or her possession an open marijuana container. (IV) The possession of an open marijuana container in an area not normally occupied by the driver or a passenger in a motor vehicle that is not equipped with a trunk. (c) A person who violates the provisions of this subsection (2) commits a class A traffic infraction and shall be punished by a fine of fifty dollars and a surcharge of seven dollars and eighty cents as provided in this section and section 42-4-1701 (4)(a)(I)(N). 42-4-1306. Colorado task force on drunk and impaired driving – creation – legislative declaration. (d) According to the federal national highway traffic safety administration, other states with a statewide task force on drunk and impaired driving have seen a decrease in incidents of drunk and impaired driving. (2) There is hereby created the Colorado task force on drunk and impaired driving, referred to in this section as the “task force”. The task force shall meet regularly to investigate methods of reducing the incidents of drunk and impaired driving and develop recommendations for the state of Colorado regarding the enhancement of government services, education, and intervention to prevent drunk and impaired driving. (XI) A researcher who is appointed by a majority of the task force members and who specializes in drunk and impaired driving research. (b) Members selected pursuant to subparagraph (IX) of paragraph (a) of this subsection (3) shall serve terms of two years but may be selected for additional terms. (c) Members of the task force shall not be compensated for or reimbursed for their expenses incurred in attending meetings of the task force. (d) The initial meeting of the task force shall be convened on or before August 1, 2006, by the member serving pursuant to subparagraph (I) of paragraph (a) of this subsection (3). At the first meeting, the task force shall elect a chair and vice-chair from the members serving pursuant to subparagraphs (I) to (VIII) of paragraph (a) of this subsection (3), who shall serve a term of two years but who may be reelected for additional terms. (e) The task force shall meet not less frequently than bimonthly and may adopt policies and procedures necessary to carry out its duties. 42-4-1307. Penalties for traffic offenses involving alcohol and drugs – legislative declaration – definitions – repeal. (1) Legislative declaration. (b) For a second or subsequent offender, a period of probation. The imposition of a period of probation upon the conviction of a first-time offender shall be subject to the court’s discretion as described in paragraph (c) of subsection (3) and paragraph (c) of subsection (4) of this section. The purpose of probation is to help the offender change his or her behavior to reduce the risk of future violations of section 42-4-1301. If a court imposes imprisonment as a penalty for a violation of a condition of his or her probation, the penalty shall constitute a separate period of imprisonment that the offender shall serve in addition to the imprisonment component of his or her original sentence. (a) “Approved ignition interlock device” has the same meaning as set forth in section 42-2-132.5. (e) “UDD” shall have the same meaning as provided in section 42-1-102 (109.7). (b) Notwithstanding the provisions of subparagraph (I) of paragraph (a) of this subsection (3), and except as described in paragraphs (a) and (b) of subsection (5) and paragraph (a) of subsection (6) of this section, a person who is convicted of DUI or DUI per se when the person’s BAC was 0.20 or more at the time of driving or within two hours after driving shall be punished by imprisonment in the county jail for at least ten days but not more than one year; except that the court shall have the discretion to employ the sentencing alternatives described in section 18-1.3-106, C.R.S. (b) Notwithstanding the provisions of subparagraph (I) of paragraph (a) of this subsection (4), and except as described in paragraphs (a) and (b) of subsection (5) and paragraph (a) of subsection (6) of this section, a person who is convicted of DWAI when the person’s BAC was 0.20 or more at the time of driving or within two hours after driving shall be punished by imprisonment in the county jail for at least ten days but not more than one year; except that the court shall have the discretion to employ the sentencing alternatives described in section 18-1.3-106, C.R.S. (I) Imprisonment in the county jail for at least ten consecutive days but no more than one year; except that the court shall have discretion to employ the sentencing alternatives described in section 18-1.3-106. During the mandatory ten-day period of imprisonment, the person is not eligible for deductions of his or her sentence pursuant to section 17-26-109, or for trusty prisoner status pursuant to section 17-26-109 (1)(c); except that the person receives credit for any time that he or she served in custody for the violation prior to his or her conviction. (IV) A period of probation of at least two years, which period shall begin immediately upon the commencement of any part of the sentence that is imposed upon the person pursuant to this section, and a suspended sentence of imprisonment in the county jail for one year, as described in subsection (7) of this section; except that the court shall not sentence the defendant to probation if the defendant is sentenced to the department of corrections but shall still sentence the defendant to the provisions of paragraph (b) of subsection (7) of this section. The defendant shall complete all court-ordered programs pursuant to paragraph (b) of subsection (7) of this section before the completion of his or her period of parole. (III) Participating in a court-ordered level II alcohol and drug driving safety education or treatment program, as described in section 42-4-1301.3 (3)(c)(IV). (6.5) Felony offenses. (a) A person who commits a felony DUI, DUI per se, or DWAI offense shall be sentenced in accordance with the provisions of section 18-1.3-401 and this subsection (6.5). (I) Require the defendant to serve at least ninety days but not more than one hundred eighty days imprisonment in the county jail. During the mandatory ninety-day period of imprisonment, the defendant is not eligible for deductions of his or her sentence pursuant to section 17-26-109 or for trusty prisoner status pursuant to section 17-26-109 (1)(c); except that a defendant receives credit for any time that he or she served in custody for the violation prior to his or her conviction. During this mandatory period of imprisonment, the court does not have discretion to employ any sentencing alternatives described in section 18-1.3-106. (II) Require the defendant to serve at least one hundred twenty days but not more than two years of imprisonment in the county jail through participation in a program pursuant to section 18-1.3-106 (1)(a)(II) or (1)(a)(IV) if the program is available through the county in which the defendant is imprisoned and only for the purposes of continuing a position of employment that the defendant held at the time of sentencing for the violation or for continuing attendance at an educational institution at which the defendant was enrolled at the time of sentencing for the violation. During the mandatory one-hundred-twenty-day period of imprisonment, the defendant is not eligible for deductions of his or her sentence pursuant to section 17-26-109 or for trusty prisoner status pursuant to section 17-26-109 (1)(c); except that a defendant receives credit for any time that he or she served in custody for the violation prior to his or her conviction. During this mandatory period of imprisonment, the court does not have discretion to employ any other sentencing alternatives described in section 18-1.3-106; except that a court may grant permission for a defendant to leave the jail to obtain medical treatment, pursuant to section 18-1.3-106 (1)(a)(V). (II) Sentence the defendant in accordance with subsection (7)(b) of this section. (d) Notwithstanding the provisions of subsection (6.5)(a) of this section, before the imposition of any sentence to the department of corrections for a felony DUI, DUI per se, or DWAI offense, at sentencing or at resentencing after a revocation of probation or a community corrections sentence, the court shall consider all the factors described in subsection (6.5)(e) of this section. (e) If the court sentences the defendant to the department of corrections for a felony DUI, DUI per se, or DWAI offense, it must determine that incarceration is the most suitable option given the facts and circumstances of the case, including the defendant’s willingness to participate in treatment. Additionally, the court shall consider whether all other reasonable and appropriate sanctions and responses to the violation that are available to the court have been exhausted, do not appear likely to be successful if tried, or present an unacceptable risk to public safety. (c) (I) The court may impose all or part of the suspended sentence described in subparagraph (IV) of paragraph (a) of subsection (5) of this section or subparagraph (IV) of paragraph (a) of subsection (6) of this section at any time during the period of probation if the person violates a condition of his or her probation. During the period of imprisonment, the person shall continue serving the probation sentence with no reduction in time for the sentence to probation. A cumulative period of imprisonment imposed pursuant to this paragraph (c) shall not exceed one year. In imposing a sentence of imprisonment pursuant to paragraph (a) of this subsection (7), the court shall consider the nature of the violation, the report or testimony of the probation department, the impact on public safety, the progress of the person in any court-ordered alcohol and drug driving safety education or treatment program, and any other information that may assist the court in promoting the person’s compliance with the conditions of his or her probation. (II) Any imprisonment imposed upon a person by the court pursuant to paragraph (a) of this subsection (7) must be imposed in a manner that promotes the person’s compliance with the conditions of his or her probation and not merely as a punitive measure. (8) Ignition interlock devices.In sentencing a person pursuant to this section, courts are encouraged to require the person to use an approved ignition interlock device as a condition of bond, probation, and participation in programs pursuant to section 18-1.3-106, C.R.S. (9) Previous convictions. (a) For the purposes of subsections (5) and (6) of this section, a person is deemed to have a previous conviction for DUI, DUI per se, DWAI, vehicular homicide pursuant to section 18-3-106 (1)(b), C.R.S., vehicular assault pursuant to section 18-3-205 (1)(b), C.R.S., aggravated driving with a revoked license pursuant to section 42-2-206 (1)(b)(I)(A) or (1)(b)(I)(B), as that crime existed before August 5, 2015, or driving while the person’s driver’s license was under restraint pursuant to section 42-2-138 (1)(d), if the person has been convicted under the laws of this state or under the laws of any other state, the United States, or any territory subject to the jurisdiction of the United States, of an act that, if committed within this state, would constitute the offense of DUI, DUI per se, DWAI, vehicular homicide pursuant to section 18-3-106 (1)(b), C.R.S., vehicular assault pursuant to section 18-3-205 (1)(b), C.R.S., aggravated driving with a revoked license pursuant to section 42-2-206 (1)(b)(I)(A) or (1)(b)(I)(B), as that crime existed before August 5, 2015, or driving while the person’s driver’s license was under restraint pursuant to section 42-2-138 (1)(d). (d) (I) Persons convicted of DUI, DUI per se, and DWAI are subject to a surcharge of at least one dollar but no more than ten dollars for programs to fund efforts to address alcohol and substance abuse problems among persons in rural areas. The surcharge shall be mandatory, and the court shall not have discretion to suspend or waive the surcharge; except that the court may suspend or waive the surcharge if the court determines that a person is indigent. Any moneys collected for the surcharge shall be transmitted to the state treasurer, who shall credit the same to the rural alcohol and substance abuse cash fund created in section 27-80-117 (3), C.R.S. (e) Persons convicted of DUI, DUI per se, DWAI, vehicular assault as described in section 18-3-205 (1)(b), or vehicular homicide as described in section 18-3-106 (1)(b) shall pay a data-analysis surcharge of two dollars to be transmitted to the state treasurer, who shall deposit money collected for the surcharge in the substance-affected driving data-analysis cash fund created in section 24-33.5-520. Except in the case of an indigent defendant, the court has no discretion to waive this surcharge. (11) Restitution.As a condition of any sentence imposed pursuant to this section, the sentenced person shall be required to make restitution in accordance with the provisions of section 18-1.3-205, C.R.S. (12) Victim impact panels. (a) In addition to any other penalty provided by law, the court may sentence a person convicted of DUI, DUI per se, DWAI, or UDD to attend in person and pay for one appearance at a victim impact panel approved by the court, for which the fee assessed to the person shall not exceed fifty dollars. (b) On July 1, 2017, and on each July 1 thereafter, the maximum fee established in paragraph (a) of this subsection (12) is adjusted by the annual percentage change in the United States department of labor, bureau of labor statistics, consumer price index for Denver-Boulder, all items, all urban consumers, or its successor index. (13) Alcohol and drug evaluation and supervision costs.In addition to any fines, fees, or costs levied against a person convicted of DUI, DUI per se, DWAI, or UDD, the judge shall assess each such person for the cost of the presentence or postsentence alcohol and drug evaluation and supervision services. (14) Public service penalty.In addition to any other penalties prescribed in this part 13, the court shall assess an amount, not to exceed one hundred twenty dollars, upon a person required to perform useful public service. (e) The department shall reflect both convictions on the defendant’s driving record. Legal Disclaimer – The information contained at this web site is not intended to be legal advice and all information regarding Colorado traffic law is general content only and should not be relied upon for any specific Colorado traffic law situation. Information on this web site is not intended to cover all the issues, nuances or ramifications related to the topic discussed. This web site may not be updated routinely to reflect the most current Colorado traffic law.